***ALL NEW PAINT***ALL NEW CARPET*** ALL NEW STAINLESS STEEL APPLIANCES***GRANITE COUNTER TOPS***UPGRADED CABINETS*** CLEAN, 3-bedroom, 2-bathroom Goodyear home located in the highly sought after Estrella Mountain Ranch community which offers many hiking trails, golf, bike paths, and lakes + 2 community centers featuring heated lap pool, water park, fitness center, boating, fishing, tennis and MORE! 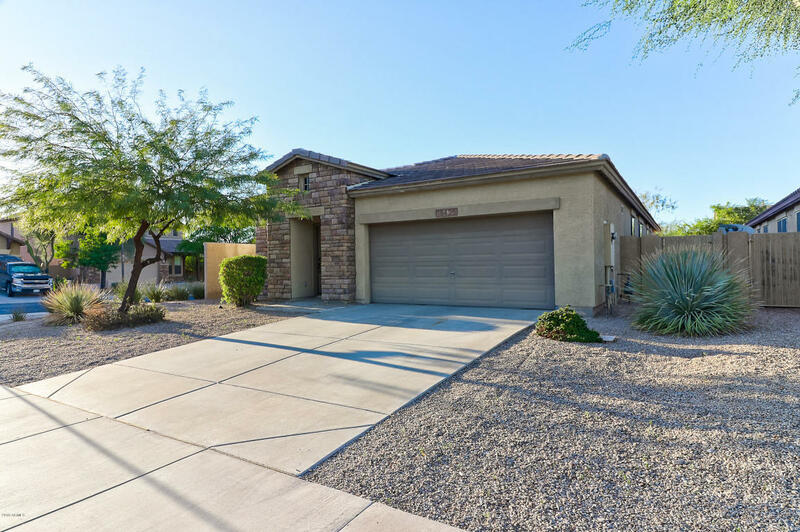 This home also features a formal living area + a family room AND a den - all with lots of natural light, fans and blinds, tile throughout all traffic areas, NEW carpet AND NEW paint!! !